There’s the core of a good song idea here. Really. And he’s singing from the heart, clearly addressing this song to his late wife. It’s hard not to feel guilty criticizing this record. The rhythm and delivery are identical. I’d cut him some slack if he had written this, but he didn’t. It was a trio of established songwriters that gave this song to an artist who doesn’t have the chops to sing it. In the end, this leaves Gokey sounding like a poor man’s Gary LeVox. That might be the meanest thing I’ve ever written about anyone on this site. ” In the end, this leaves Gokey sounding like a poor man’s Gary LeVox. Ouch. But you do realize calling Gary a better vocalist than Danny is a compliment towards Gary, so the joke doesn’t really work in the end. As for the song, it’s mediocre and bland- but knowing Danny’s backstory makes me believe he really did want to record this song. However, I believe Danny’s intentions didn’t show in his delivery- if he wanted to record it, I wouldn’t believe that by listening to it for the for the first time. Personally, I don’t even buy Danny’s sudden foray into country music, let alone his artistry. He said in an interview he has “no clue” what the Grand Ole Opry was before he played there, and he only went into country music because he couldn’t make a living in country music. I’m tired of country music being a last resort for pop and Idol artists. …mix denial with a dramaqueen and you get results like this. almost unbearable. I like Rascal Flatts but Gokey’s voice actually is better in my opinion. He’s got a ton of range and power, and less of that nasal quality that can wear on me with Gary LeVox. That supposed quote about the Opry gets trotted out from time to time by those who don’t like Gokey. Their right, but it’s a bit dated. He’s scheduled to be performing his four date at the Opry in August, they don’t seem to have had any trouble accepting him on their stage. No, it is not right that Danny said he had no clue what the Opry was, and the person who said it knows it because we have had this little talk before. As if it even matters anymore, what Danny said was that when he was told that the theme week on AI was “Grand Ole Opry Week” he asked, what does that mean. Just as, if I were told that the theme was “Rock n Roll Hall of Fame Week” I would wonder what songs I was allowed to choose from – they can’t just sing any old thing they want, it has to be approved. But I know what the Rock n Roll Hall of Fame is. Danny has family in Nashville and has visited there. Is it believable that he didn’t know what the Opry was? No. And of course it’s not true that Danny went into country because he couldn’t make a living in (“country”? the last time you tried this insult I think you said pop or r&b. Assume you meant one of those). He is new to the recording industry. There have been so many great reviews from credible people in the industry who praise the beauty of Danny’s voice and his performance of this song. A dissenting opinion here and there doesn’t trouble me. The awkward attempts to discredit him do get old, especially such obvious spinning that is not credible. It’s just weird. But I do think the song’s going to be a hit for Danny. Seems to be going great so far and I’ve seen, I don’t even know how many now, fantastic comments from both fans and industry people who find it extremely touching and beautiful. I think so too. You all really ought to stay on your meds. It is a damn good album. Danny Gokey can sing and has an unbelievable vocal range. Ask Lady Antebellum, who it took some time for them to become established. His album only came out in March. This single hits home for anyone who has lost a loved one. The country music has embraced Danny and he has received top notch reviews from all over the industry, as well as fans. I believe this song will be a huge hit for Danny! 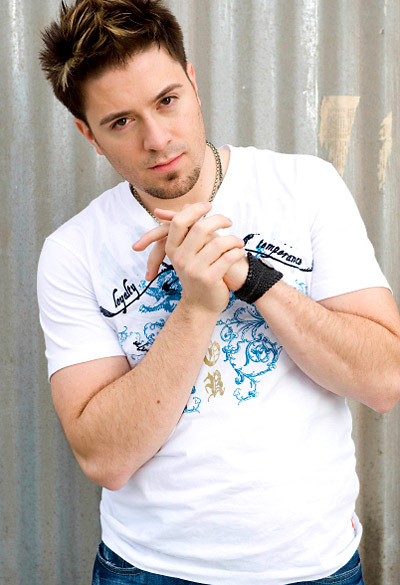 Actually, we don’t know whether Danny Gokey could have made it in the pop world, since he never tried. He certainly has the chops for it, with his combination of whiskey smooth vocals, and gravelly growls. IMO, country music doesn’t give him enough opportunity to let loose with that raspy growl. That said, it is an insult to country music to suggest that it is “easy” to make it in country music. If it seems like a lot of pop artists are gravitating to country music, ask yourself why? Could it be that country music offers something that pop currently does not? Like meaningful songs about real life sung by artists with vocal talent? That Nashville might offer more camaraderie and support than L.A. does? There are plenty of reasons why pop artists might switch to country, aside from the assumption that the artist somehow had failed. As for country music, there currently is a blend of traditional and more modern sounds, which I think enriches and broadens the genre. And many of the modern country artists — like Taylor Swift and Lady Antebellum — are selling well by any standards, pop or country. As long as country retains its core, traditional sound, there is plenty of room for soulful, blended country in the vein that Danny Gokey offers. Perhaps you should ask Chuck, Vicki, and Lari if they think Danny doesn’t have the pipes to sing their song before you publish a statement like that. Sounds like you have a problem with their writing; don’t criticize Danny for singing what they wrote. And yes, the rhythmic and melodic patterns are the same for “What Hurts the Most,” and “I Will Not Say Goodbye” for a few measures, but…so what. The Baroque and Renissance period composers did the same thing, hymn writers, contemporary writers; they all did and still do. From what I’ve read, the songwriters are very happy that Danny decided to sing their song. The fans are happy that Danny is singing this song – everybody is happy. Danny is unique, instantly recognizable, marketable, and comes from a backround that country music seems to embrace. I wish him all the success he can handle…and yes William I agree, his album is d*#n good! Well it’s certainly your opinion, but got to say I’ve read great reviews from respected country bloggers/sites of this song. I don’t hear a Rascall Flatts resemblance at all. And whoever said a lot of songs sound similar- so true; country is as guilty of this as any other genre. I caught the Rascal Flatts resemblance as well. But overall I thought it was a decent song, and I thought he turned in a solid performance. My review mostly focused on the song’s positive traits, but now I’m thinking I might have been a little too generous. Ben Foster, if you liked the song, you’re in pretty good company. Jon Caramanica of the New York Times and Brian Mansfield of USA Today both had great things to say about it when they reviewed the album. And check out what these reviewers of country music had to say about it. You are by no means hanging out on a limb alone liking the song. Danny has crossed the country singing this song in concert and in radio station studios. People are stunned at the beauty of it and they talk about it, in his interviews and on twitter and on their station blogs. It’s getting great buzz. Everyone is entitled to their opinion, even if it is a wrong one. Danny’s song IWNSG is a beautiful heartfelt song. Most of you critics, can’t get over the fact he has a record deal, and is doing so well. Country has many different appeals, I mean look at Taylor Swift, and then Rascall Flatts, 2 distinctly different singers, but both country!!! Of course the songwriters are happy. Royalty checks would make anyone happy, especially royalty checks from an American Idol contestant who is guaranteed to have a fierce fan base, at least for the first album. I’ve said it before and I’ll say it again, an artist is accountable for whatever he chooses to sing, even if he didn’t write it. For instance, Miranda Lambert is rightfully acnowledged and credited for “The House that Built Me”, even though she did not write it. Likewise, Danny Gokey should also be acknowledged and credited for singing this song that he did not write, even though it doesn’t receive the same positive acknowledgement as Lambert’s song. If this song was positively reviewed, you would not tell the reviewer not to praise Goaky for singing it. Therefore, it’s not reasonable to expect the reviewer not to criticize him for singing it if the song is not good. It works both ways. Eh, it doesn’t take a “fierce fan” to read a reviewer saying that Danny Gokey “doesn’t have the chops to sing it” and not think something “Well, who should I believe, you or my own lyin’ ears”. I kind of think the cards were revealed with that one and I put the review in perspective accordingly. I do think Billie raises an interesting point that the criticism isn’t really clear on what is a problem with the song and what is a problem with the singer, from the reviewer’s perspective. “Rhythm” seems to pertain more to one, and “delivery” to the other. But if Danny is to be held responsible for both, as one commenter suggests, why would he be “given slack” if he had written it. That makes no sense to me. Doesn’t really matter though. I’m very happy with the reception this song has received overall. It’s a song with a very touching backstory of its own (written after the funeral of Jeffrey Steele’s young son, who died in an accident), and Danny made it his own and sings it beautifully. Yes, the songwriters should be blamed for writing a bad song or praised for writing a good one, but the singer is even more accountable for choosing to sing it, since the singer is the person to put a spotlight on the song. Sorry, I donot agree with anything you have to say,this is a beautiful,powerful, moving song and Danny Gokey is one amazing singer. IMO, he is one of the best male singers in music today. Sorry Kevin, Leeann, Dan…etc….I hate crazed fans so f3? *!ng much….having said that, as much as I hated Danny on Idol, and hated his first two singles I can honestly say this is okay, his voice still does nothing for me but it’s a step up and I will give him a chance to prove himself before completley writing him off. P.S. I love how this and “Cryin’ For Me” are apparently the only two songs dealing with the death of a loved one…you know like as if it’s a new idea. You should be listening to this version of Dream On instead(see link below). All singers have their moments, he is not perfect after all. In my opinion, Danny has one of the best vocals among the new breed of singers in all genre. This song is amazing and anyone who doesn’t hate Danny for having a wife who died will love it. Those people who have just like to hate Danny because he was on at the same time as Adam or Kris or whoever are just going to critcize him no matter what. I don’t understand WHY if they think he is not that good they keep making such an herculian effort to spend time writing about him and finding blogs about him. They will hate him if he mentions his wife… they will criticize him if he doesn’t mention her. It is just a weird deal how much effort they put into someone they don’t care for. I myself like him and Kris Allen. I liked Adam on the show but can’t stand his performances now. Danny can sing anything and sound good. Country, Pop etc… Plus he has an appealing attitude. Anyone who can listen to this song and think Danny doesn’t sound good is being silly. My favorite comment of the year. He has one of the best live voices that I have ever heard. Anyone who says otherwise hasn’t seen him LIVE. Easily one of the best songs of the year. Country music is also about emotions that people can relate too. Too many people can relate to this song for it not to be good. Sometimes it’s not about the messenger,it’s about the message. Music can help people heal. If you’ve never lost someone close to you and can’t relate to the song then at least have the compassion to sympathize with those of us who have. Why is it some people can’t seem to stop themselves from hating for 5 minutes and recognize the bigger picture. No question this song is helping people cope with the loss of a loved one. That’s a whole lot more important then who wrote it, who sang, it or if it appealed to anyone artistically. Like Hank Jr once sang “I’m For Love”…..how bout you? Non-exclusive selection lying on 3 properties, 5 extra followers on FB and Twitter. Lol, don’t start anything Jake.